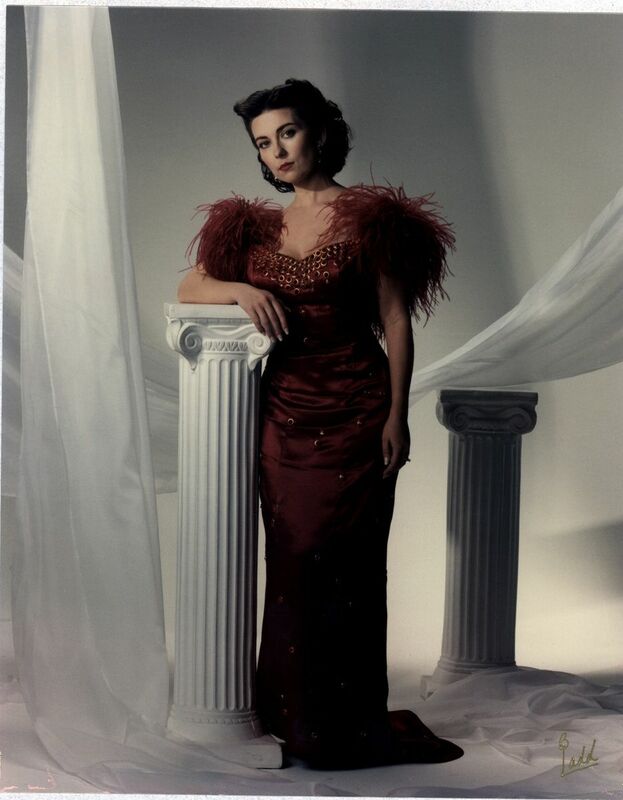 This gown was created for a pageant adn is a copy of the birthday scene dress from Gone With The Wind. We had the feathers dyed to match the fabric. Special halo set large red rhinestones encrust the bodice front. I can create gowns from movies and historical pictures...anything you want!